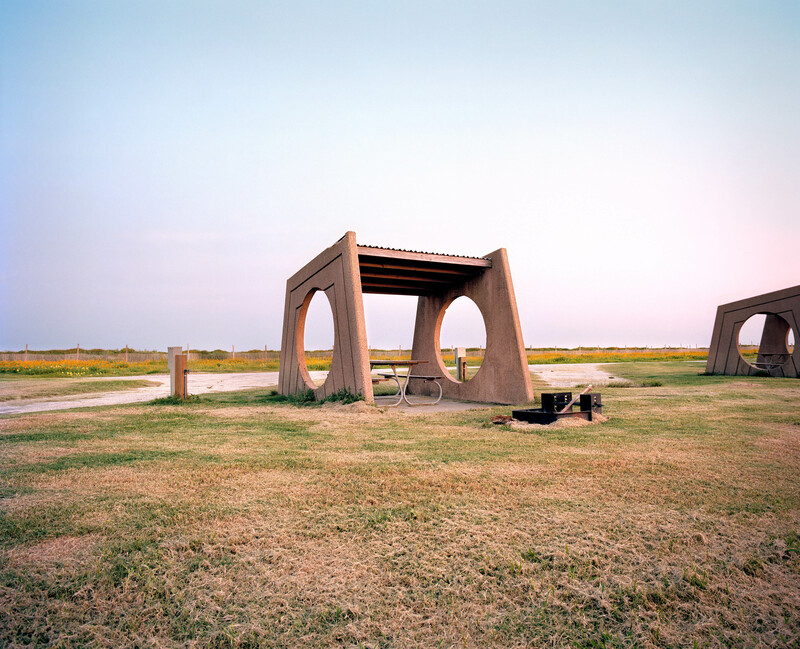 Texas-based photographer Ryann Ford’s book documents rest stops throughout the country. Childhood road trips are filled with good memories: singing in the backseat, playing “I Spy” out the car window, building a wall with pillows or stuffed animals to keep your sibling from crossing over onto “your side” of the seat. And – just when you thought you couldn’t hold it any longer – a rest stop would appear in the distance. But rest stops are changing. Because our relationships with the automobile and road trip are changing. Austin-based photographer Ryann Ford noticed that when she moved to Texas in 2007. She decided to make a book about the history of the rest stop, called The Last Stop. She says it originally started as just a photo project, but as she dug deeper, she learned a lot of history along the way. But although her project shows the decline of these attractions, Ford says that some people who have seen her work have been inspired to take a road trip of their own to see the sights.